Today I had several things I wanted to share as a Free GM Resource. The 1st item...well I couldn't find a public-facing link to the download and I think it was a Kickstarter backer-only item. I'm going to try and reach out to the creator and see if I can share that resource. The other item held a lot of promise, but it simply didn't work..as in it crashed hard on my computer. Actually I had a third item I was tracking down, but it was old enough the links are long since dead. 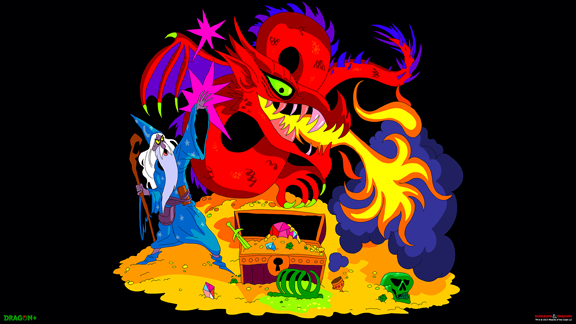 It was basically a compendium of D&D monster pictures. 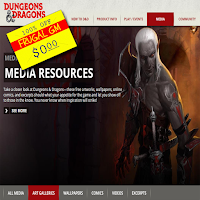 A bit of a spiritual successor to that collection is this link to "official" Dungeons & Dragons Media Resources. This collection of media is organized in a bit of a hap-hazard way, which I do not care for, but if you are patient there are some good graphics to download. While there are some comic, videos, and excerpts to look at, I'm only interested in the art galleries and wallpaper. I'm assuming that this media collection will grow over time.